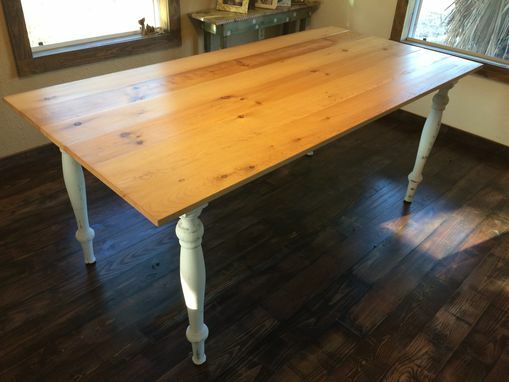 Reclaimed Pine 3 Ft. X 6 Ft. Farm Table With Distressed Legs And Skirting. 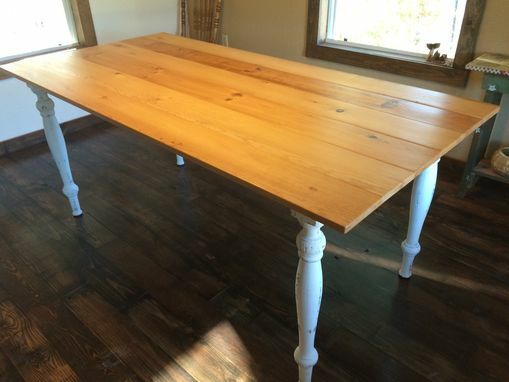 This reclaimed farm table with made with pine from a pre WWII barn and the legs were reclaimed as well from another 40+ year old table. The skirting for the table was made from reclaimed pine as well. 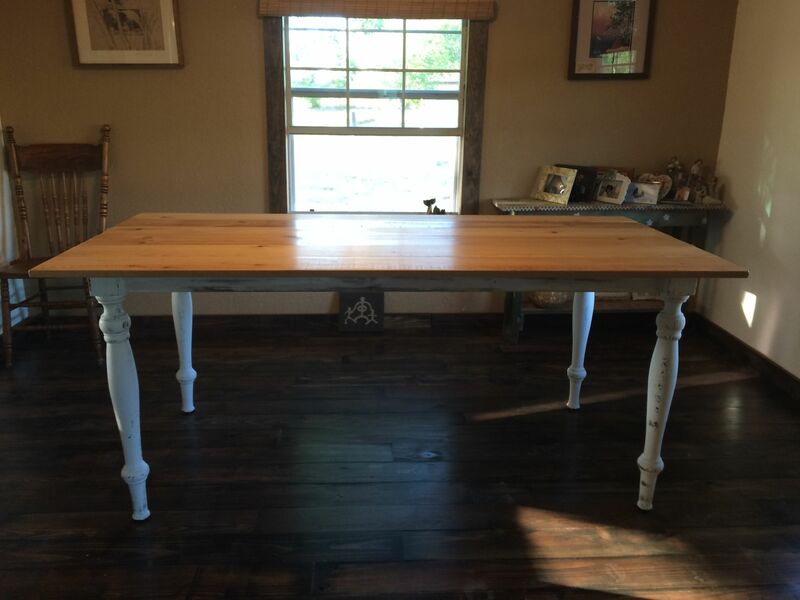 The table features two coats of semi-gloss finish and the legs were chalk painted, distressed and then sealed with a protective wax. We can make custom farm tables in virtually any size. 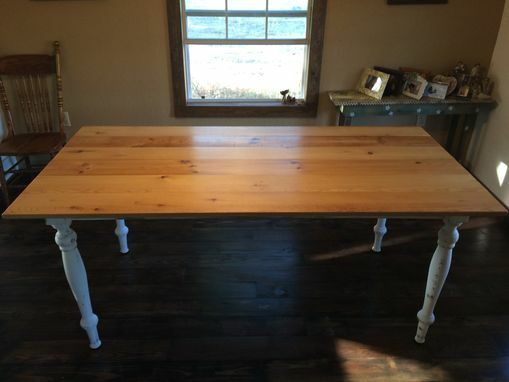 Pricing begins at $50 per square foot for custom countertops and farm tables.